Bookham debate on VC, can’t make it? No room at the hall? Go to beamforbookham on Facebook we will be streaming the debate live. We are delighted to confirm that the Bookham NDP was officially “made” at the Annual Council meeting on 23rd May 2017. It has therefore now been adopted as part of the Development Plan for Mole Valley. All members of the Bookham Neighbourhood Forum were publicly thanked in the Council Chamber for their hard work in bringing the NDP to fruition. Well done Bookham! You voted for the Bookham NDP. The results on Friday 5th May showed that 3853 people vote YES for the Plan, 986 voted NO. That's 78.7% in favour. 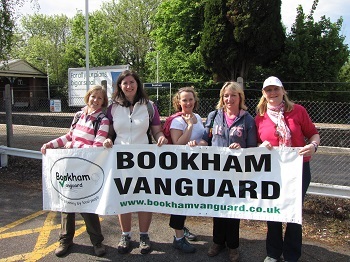 The Bookham Vanguard team would like to thank you for supporting the policies. There is one final step to take before the NDP is "made", ie. becomes legal planning policy for Mole Valley. That is for the final decision to be made at the Annual Council meeting on 23rd May 2017. Once this is done, we look forward to the NDP policies being employed by MVDC for every planning application coming forward in Bookham. What will this mean for Bookham? There is one final step before the NDP becomes law, and that is a referendum amongst Bookham Residents. You eventually get to decide the fate of this Plan. The referendum will take place on May 4th 2017, at the same time as the usual local elections. Please vote YES and support the Plan. Our NDP has been voted for at the full council meeting in December 2016. The final version of the NDP can be downloaded from the Mole Valley Bookham NDP webpage along with the independent examiner's report and modifications made as a result. The Referendum where all Bookham voters can say whether they will vote for the Plan too will be held on Thursday 4th May 2017. Voters will be asked "Do you want Mole Valley District Council to use the neighbourhood development plan for Bookham to help it decide planning applications in the neighbourhood area? 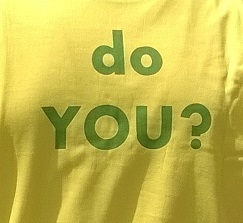 If over 50% of those who vote say "Yes" the BNDP will be adopted by MVDC and its policies will be used to determine planning applications within the Bookham Neighbourhood Area, alongside policies in the Mole Valley Core Strategy 2009 and Mole Valley Local Plan 2000. Bookham's NDP now ready for Mole Valley to vote on! Bookham's Neighbourhood Forum met on 8th November to complete their final, formal step in preparing the Bookham Neighbourhood Development Plan (NDP). The Forum had looked at the recommendations made by an independent planning examiner about the Draft NDP, and met to vote whether or not to accept them. The examiner's recommendations were more wide ranging than expected, but the Forum faced the reality that if rejected, this could possibly lead to another year, or more, being added to the creation of the Plan. Already four and a half years in the making. "Sets out a positive vision for the future of the plan area and promotes sustainable growth. At its heart are a suite of policies that aim to bring forward sensitive housing development to meet local needs, to safeguard its rich built and natural heritage and to safeguard and consolidate its strong and dynamic retail core. In the social role it aims to support the extension of local schools, promote healthcare and community facilities, protect the natural and built environment and retain the local character of the area." The Forum members voted unanimously to accept the examiner's recommendations. They are now looking forward to promoting next year's NDP Referendum to be held in early May 2017. The Forum will be encouraging every voter in Bookham to come out and vote whether to accept the Plan as local Planning Policy. If voted for at MVDC's December 2016 meeting and by Bookham voters at the Referendum in May, the NDP will be used alongside Mole Valley's and National policies to help decide every planning application coming forward in Bookham. The Bookham NDP has reached the final stage in its preparation before being the subject of a referendum. Bookham voters will be able to say yes or no to the adoption of the NDP as part of local planning policy next Spring. The exact date of the referendum will be publicised as soon as possible later this year or in the early part of 2017. Before this can happen Mole Valley District Council Planning Authority will pass the NDP to an independent examiner from the Planning Inspectorate. Planning inspectors play an important role in examining local plans impartially and publicly. They look at all local plan documents that local authorities in England prepare for an examination, including Neighbourhood Plans. They decide whether a plan is sound or not. The examination is undertaken by a suitably qualified person, who has experience in examining Neighbourhood Development Plans. Mole Valley District Council, together with the Bookham Vanguard Task Force, will have a say in who is chosen as the examiner and will ensure, as far as possible, that he/she is unassociated with the local area, has no conflicts of interest and is appropriately qualified with experience in examining Plans similar to Bookham's. The examiner's role is to test whether the Plan meets the basic conditions and relevant legal requirements according to planning law. This covers whether the Plan meets national and local planning policy and guidance, how it contributes to the achievement of sustainable development and if it fulfils the requirements of a Neighbourhood Development Plan. The Plan will be passed to the examiner together with a Consultation Statement that includes details of who has been consulted regarding the Plan, how they were consulted and how the issues and concerns that arose from the consultations were addressed in the Plan. The examiner will receive copies of all representations which were made on the final version of the NDP during the Mole Valley consultation period last February/March. Your input has shaped the Plan - it's your Plan - and once it has passed inspection (hopefully! ), you will be able to vote on whether it is adopted as planning policy for Bookham in next year's referendum. Mole Valley District Council will be publishing more details about news about the examination on their website shortly, so you can find out more there: http://www.molevalley.gov.uk/ The results of the independent examination will be published as soon as they are known. Probably in September/October this year, so keep an eye out for more Bookham Vanguard news on our website, on the Mole Valley website and in local media. The BNDP has been submitted to Mole Valley District Council. You have the opportunity to read the Plan and send your comments to Mole Valley District Council. To find out how to make representations (comment) on the Plan visit Mole Valley District Council's Bookham NDP web page. James Friend (Leader of MVDC) and Sarah Seed (Executive Member for Planning MVDC) receive a copy of the Bookham Neighbourhood Development Plan from Barbara Matthews (Chair) and accompanying members of the Bookham Vanguard Neighbourhood Forum. The Bookham Vanguard Neighbourhood Development Plan is ready to be passed to Mole Valley District Council. The Plan has been finally approved by the Forum, the Appendices completed and the accompanying Consultation Document, that has to accompany the Plan has been prepared. To read and keep your own copy of the NDP and Consultation Document download them from the PDF file links below. The Neighbourhood Development Plan for Bookham. Ready to be submitted to Mole Valley District Council, January 2016. Accompanying Consultation Document detailing the results of the NDP Consultation held in June and July 2015, together with details of previous consultations and promotions publicising the NDP project to the Bookham community and beyond. Forum members reviewed the new version of the Draft Plan, taking into account the comments put forward by Bookham residents and statutory consultees during the public consultation. It was agreed that members could put forward further comments on the new Draft Plan, providing the changes were material, involved textual changes and were backed up with evidence to support the revised/additional wording. These changes would be voted on at the Forum Meeting to be held on Saturday 17th October. The resulting, FINAL, version of the NDP would be circulated by email for Forum Members to confirm that they agreed the amendments made and agreed that this version (Draft 18) should be submitted to Mole Valley District Council. As soon as the Forum have agreed and passed the Draft to Mole Valley, the final version of the Plan (which supersedes the Draft published for the consultation), will be published here. The final version, submitted to Mole Valley, will be scrutinised by Mole Valley and, hopefully, passed to the Planning Inspectorate for a light touch examination. 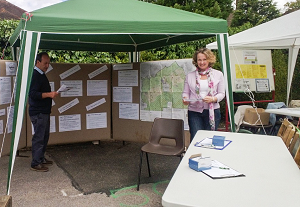 During August and September 2015, a delegated team for Forum members took on the task of analysing and taking into account the comments put forward during the public consultation on the Draft Neighbourhood Development Plan for Bookham. Forum consultation on NDP closes on Friday 24th July. Get your comments in now! To help ensure everyone who would like to, has the chance to comment on the Neighbourhood Development Plan for Bookham the Forum are holding another consultation event at the Barn Hall, Church Road Bookham on Saturday 18th July 2015 from 9.30am to 12.30pm. The event will show video presentations explaining the policies in the Plan and display boards with printed copies of the policies and supporting material. Forum members will be on hand to answer questions. You can download and print a copy of the Plan on the left of this page, and comment from this website if you can't make the event. There is also a copy of the Plan and a comments posting box in Bookham Library. Village Day 2015 - Kings and Queens of consultation! 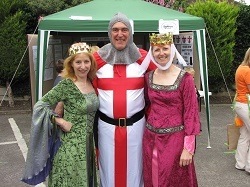 Forum members dressed the part for the Kings and Queens Village Day 2015. The BCA event at the Barn Hall, Church Road was as well attended as usual. The weather was (perhaps unusually) kind to everyone and helped ensure the day was a great success. This year's competition asked children to guess how many pieces were in a model medieval castle. 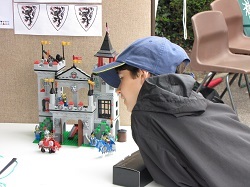 To support this year’s BCA event theme of Kings and Queens, the Vanguard Forum ran a competition for children at village to win a fantastic model Castle, complete with drawbridge, hidden trapdoors, canons, knights and horses. 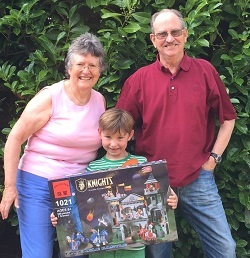 The prize was the model itself, won by Oscar pictured right, whose grandparents live in Pine Walk, Bookham. Following the feedback from the May 9th Community Event and voting on policies at the May 30th Forum meeting, the Neighbourhood Plan is now ready for public consultation. Over the next six weeks, anyone in Bookham who wishes to, can read the Draft Plan and comment on the policies it contains. Those comments will be passed to the Forum who will respond to them and, if appropriate, amend the Plan accordingly. Once these comments have been incorporated into the Plan, it will be passed to Mole Valley Planning authority to begin the process of being formally scrutinised, inspected and adopted as part of the Planning Policy all development in Bookham will have to conform to. The final step will be for the Plan to be voted on by Bookham electors in a Referendum in 2016. The consultation ends on Friday 24th July 2015. So please send your comments to the Forum before then. To read the Draft Neighbourhood Plan and make any comments, download a copy of the Plan using the link on the right. Please send your comments to the Forum using the contact form on this website. If you know anyone who does not have access to a computer, please let them know that there is a copy of the draft plan in Bookham Library. If you would like to submit a comment by letter, please send it to The Secretary, Bookham Vanguard Neighbourhood Forum, 10 Hawkwood Rise, Great Bookham, Leatherhead, Surrey KT23 4JP. 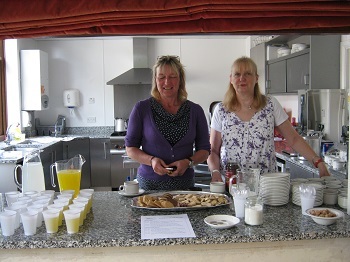 Thanks to everyone who came along to the event on Saturday 9th May at the Barn Hall. It was a great success with much positive feedback for the Forum on the work done for the Neighbourhood Development Plan policies so far. We were delighted that so many people were prepared to spend the time to watch the presentations and look at the information on display. And very happy to hear Bookham residents' views and receive written feedback on the topics that needed more input from the community. We realise that Saturday mornings are not convenient for everyone and hope that the information and links provided here will allow anyone who couldn't make it on the day to see the content and provide feedback from the website too. This video is made from all four of the presentations given in the Waterfield Room at the Barn Hall on Saturday 9th May. The running time is approximately 22 minutes. The topics are: What is an Neighbourhood Development Plan (NDP) - Introduction to the rest of the presentation, Local Economy draft policies for the Bookham NDP, Environment and Infrastructure draft policies for the Bookham NDP, Housing draft policies for the Bookham NDP. Please come along, your feedback is vital to the success of the Neighbourhood Plan for Bookham. The Neighbourhood Forum met at the Barn Hall on Saturday 7th March to discuss the revised version of the Draft Plan. Policies are being fine-tuned and discussed amongst the Forum. The majority view of the Forum is being fed into the detail of the policy ready for testing on the rest of the Community at the next Community Event in May 2015. For more information and minutes of the meeting please look at the Forum Meeting page for 7th March 2015. The Forum commented on the proposals for rebuilding the Howard of Effingham School together with enabling development of 295 new homes. The comments focused on the impact of the development on local infrastructure. 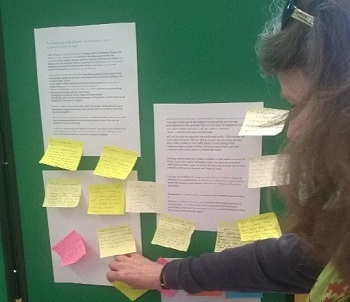 The Forum meeting on 10th January saw the first draft of the Neighbourhood Development Plan. Due to the withdrawal of the Housing and Traveller Sites Plan by Mole Valley, there will be no review of the Green Belt boundary in Bookham before the NDP is complete. The policies in the Plan will focus purely on the exisitng built-up area of Bookham. For the full Agenda, Presentation and Minutes of the meeting including the revised Project Plan, please refer to the Forum meeting page for the 10th January 2015. The Bookham Vanguard Neighbourhood Forum met on Saturday 18th October 2014. The Forum welcomed their new Chair - Barbara Matthews who has been a member of the Forum since its inception and the potential halting of the Mole Valley Housing and Traveller Sites Plan. What will this mean for Bookham's Neighbourhood Plan?? To see the Agenda, Presentation and full minutes of the meeting please refer to the Forum meeting page for that date. 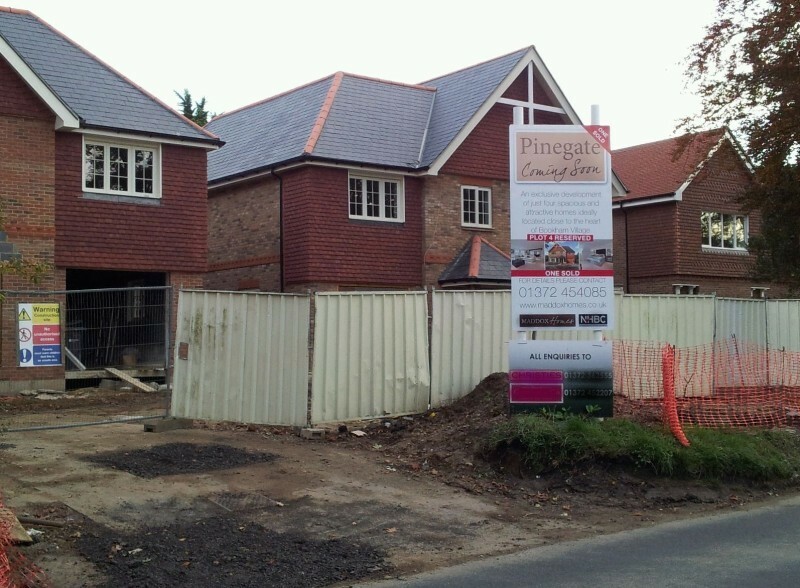 The Neighbourhood Development Plan current production schedule is dependent on Mole Valley's Housing and Traveller Sites Plan. In our newly published September 2014 Newsletter we wrote about the schedule and project timing. The diagram below provides full details. The Forum comment on Guildford Borough Council's Draft Local Plan. Please download the PDF file opposite to see a copy of the comments in full. Forum meeting - 19th July 2014 - Getting on with ideas for the Neighbourhood Plan. Read all about the latest discussions. The next Open Morning will be on Saturday 25th October 2014, not 5th July as was originally planned and published in the June 2014 Newsletter - please pass this news on to anyone you know who was planning to go to the Barn Hall on Saturday 5th July. Read the Agenda, Minutes and presentations for the meeting here. More information will be available as soon as it is published. Now published - Results and findings from the consultations undertaken at the Neighbourhood Forum Open Morning on 22nd February and subsequent online questionnaire. Since Bookham have handed this aspect of the Neighbourhood Development Plan back to Mole Valley. The Planning Authority have produced a supplement to the Housing and Traveller Sites Plan Consultation which covers the Green Belt review for Bookham. 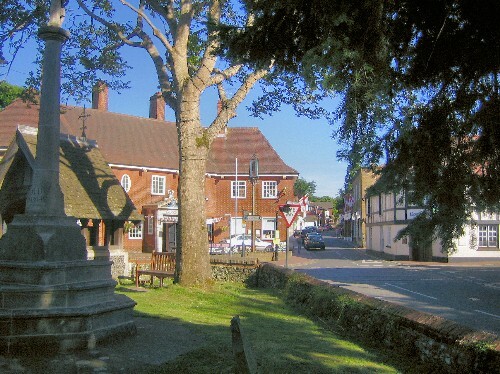 This is the Bookham Forum's opportunity to refocus, away from purely site-based planning and on to creating policies about how many new homes are needed in Bookham, what type of new homes are required, the infrastructure that should be provided to support a larger population and how the local economy and businesses could be helped and encouraged. Following the decision by the DCLG that the output of Bookham Vanguard's Green Belt review had to form part of the Council’s overall review of the District as a whole, and due to a Task Force member of the Housing Group putting forward land for consideration for development in Bookham, the Bookham Forum decided to hand back total responsibility for the Green Belt Review to Mole Valley. This Press Release explains the reasons for the decision more fully. The Green Belt review was only part of the Neighbourhood Plan - the Vanguard Forum can now refocus on the other major decisions and policies to be included in the Plan covering housing numbers, types of homes required, supporting infrastructre and encouraging the local economy and businesses. 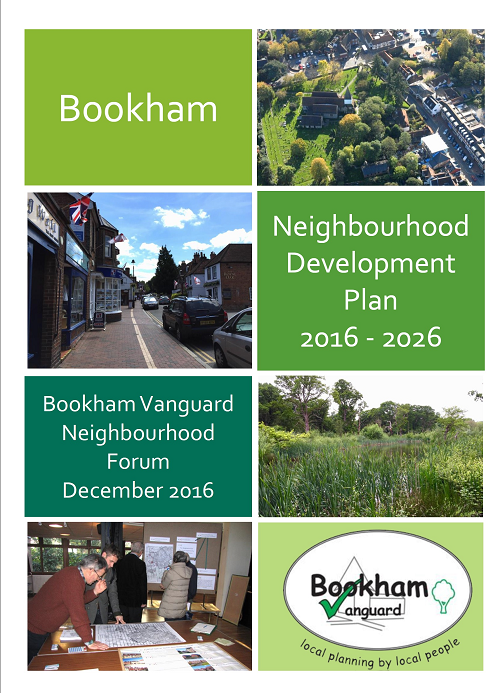 The work of the Bookham Forum will continue - we look forward to working with you to create a Neighbourhood Plan we can all support. Who Can do a Green Belt Review? 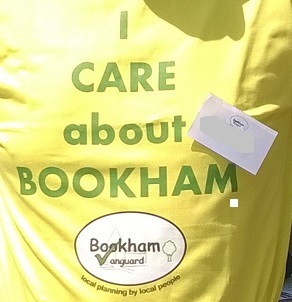 Is Localism Working for Bookham? The Howard of Effingham school recently announced a joint venture with Berkely Homes that could result in the building of a whole new school on Lodge Farm, opposite the current school site. How this might impact the content of Bookham's Infrastructure Development Plan, will be under discussion at the next Forum and Task Force meetings. advice from DCLG about how a Neighbourhood Planning Area's Green Belt review could contribute towards a Local Area review and what that advice meant for Bookham's NDP process. The results of these meetings and news on how the project will be moving forward will be discussed further at the Task Force meeting on 8th October and presented to the Neighbourhood Forum on Saturday 19th October. Once the Forum have had a chance to discuss these issues, more news will be published. Missed the latest Community Event? Don't worry you can catch up here. An article in the Leatherhead Advertiser published on Thursday 18th July, discussed whether Effingham residents should be given a chance to voice their concerns over the Green Belt review being undertaken by the Forum alongside the Neighbourhood Development Plan. The document you can download here gives the full statement prepared by Bookham Vanguard on this topic. The work done by the Neighbourhood Forum which took almost a year has now been passed by to Mole Valley to be undertaken as part of the Housing and Traveller Sites Plan. "Rain, rain, go away come again another day!" Despite the nursery rhyme theme and much singing of Incy Wincy Spider, the rain and wind did not stay away - but in true Brit style, Bookham was out in force for Village Day. 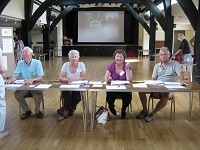 The Bookham Forum proved it's not just all talk, working on the Neighbourhood Development Plan project. 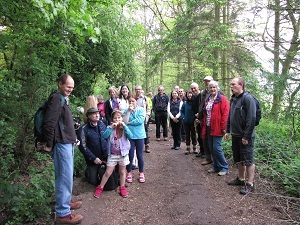 On Sunday 19th May they set out to walk the Green Belt boundaries of Bookham . Perfect weather - great views of Bookham; food for thought. Now that the Green Belt review for Bookham is to be included in the Mole Valley Housing and Traveller Sites Plan, the videos that formed part of this event will be updated to reflect this. All other aspects of the Neighbourhood Plan will remain the same and policies for future planning applications that arise in Bookham, whether in the built-up area or in any Green Belt site allocated in the HTSP to be agreed by 2016 will be included. The LPA invited areas such as Bookham, who are producing Neighbourhood Development Plans, to undertake their own consultation on the method to be used to review land in the Green Belt in their Neighbourhood Areas. This means more meetings for the Forum and more work! To catch up on recent work and discussions please view the information produced for the meeting on 23rd March 2013, here, and 6th April 2013 (when it is available). Once the method of review has been agreed you will be able to comment on it through a Bookham-wide consultation. Papers and feedback methods will be available here - please come back for alll the information and links you'll require after 6th April 2013. We have also produced a new Newsletter for circulation, downloadable here, and are keen to advertise the next Community Event to be held on 20th April at the Barn Hall, please come along to see alll the latest news and put forward your views about the Green Belt review and the Neighbourhood Plan. If you have not been before and would like to find out what the Neighbourhood Plan is all about - there will be plenty for you to see too. Thanks to everyone who came along on Saturday. We hope you found the displays and conversation informative. we look forward to seeing you at the next event, currently planned for Saturday 20th April at the Barn Hall. The Bookham Neighbourhood Forum met at the Barn Hall on Saturday 12th January 2013 to examine infrastructure issues and started to discuss the impact an increase in population in Bookham could have on local facilities and amenities. Read the latest press release on Infrastructure on the Infrastructure Issues page. Look at the information provided to the Forum so far on infrastructure background and download the presentation given at the Forum meeting. The Neighbourhood Forum Task Force have written a response to the Gleeson new homes consultation brochure distributed on 30th November to some roads in Bookham. Details of the response are available on the Housing Matters page. HOW MUCH? WHAT TYPE? WHERE? At its meeting held on Saturday 10th November, the Bookham Neighbourhood Forum started to discuss the future housing issues facing Bookham. These discussions were informed by detailed background papers produced by the Forum’s Task Force. These papers have been carefully and rigorously researched using historic and current data collected from the Bookham Vision survey in 2008, Mole Valley Planning Authority, the 2001 Census*, The Office for National Statistics and the Department for Communities and Local Government. 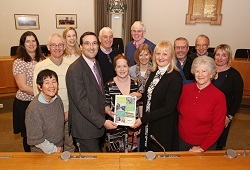 Mole Valley have announced the formal designation of the Bookham Neighbourhood Forum. 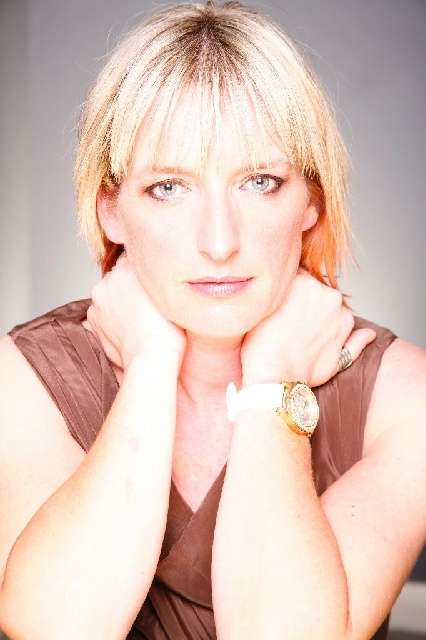 The new Chair of the Forum, Lucy Botting said "That's fantastic news! Now the hard work begins!". The designation was announced by Jack Straw, Head of Planning at Mole Valley District Council in an email to Trevor Sokell, Leader of the Task Force saying "the Executive agreed the designation of the Forum and NDP area - and were most complimentary about all the ground breaking work that has been done. I'll write formally as soon as I can but in the meantime - good luck and happy planning! We're right behind you." Thanks to all who replied to the consultation document online and by mail - well done Bookham! To see more news about Bookham Vanguard Neighbourhood Planning visit the NDP page on the Mole Valley website. The first meeting of the Bookham Neighbourhood Forum took place on Saturday 4th February at 10.00am in The Barn Hall, Bookham. Bookham in Surrey was selected by Mole Valley District Council to be the first neighbourhood in Mole Valley to take control of their own development needs. We will be one of the first communities in the country to produce a Neighbourhood Development Plan (NDP). The Plan will be researched and created by local people and agreed on by local people. Putting the power to choose how Bookham's growing housing, business and infrastructure needs will be met over the next 20 years back in local hands. It is a challenging but truly exciting project to be involved in and we are hoping that together, the Neighbourhood Forum, Bookham residents and those who work here will take this opportunity to influence planning and development policy for the area.